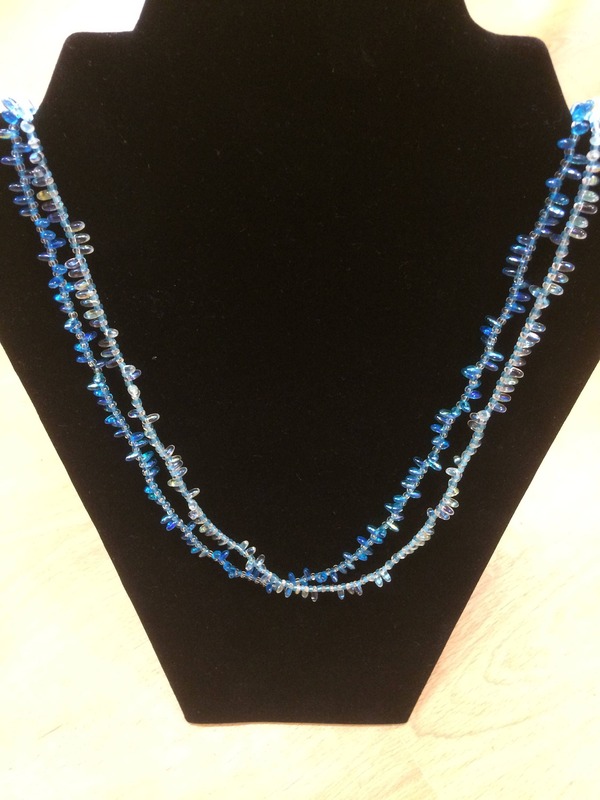 Create several different styles of necklace from one design using a shortening clasp. 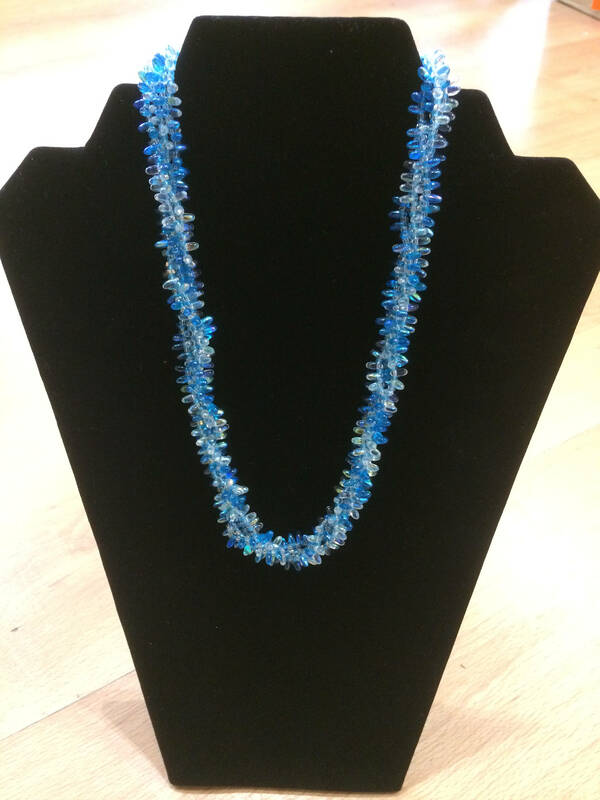 Wear this necklace long, short or twisted depending on your outfit. 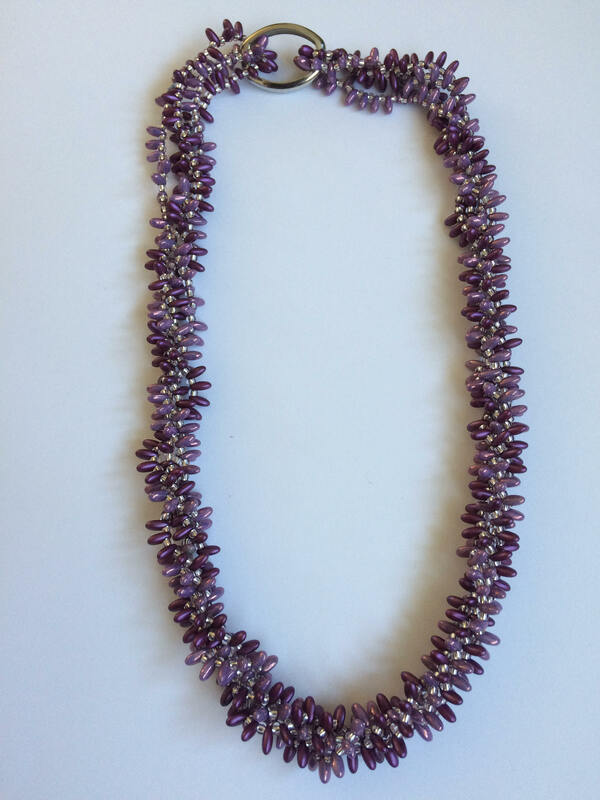 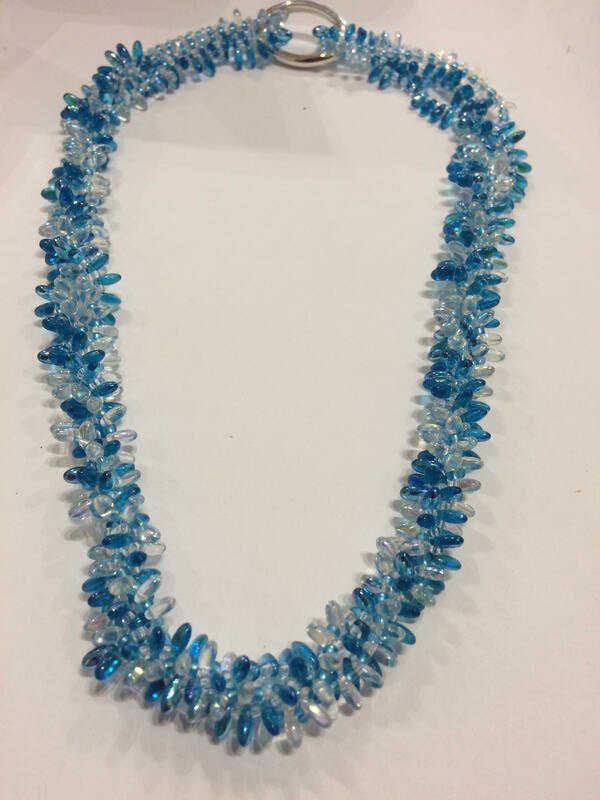 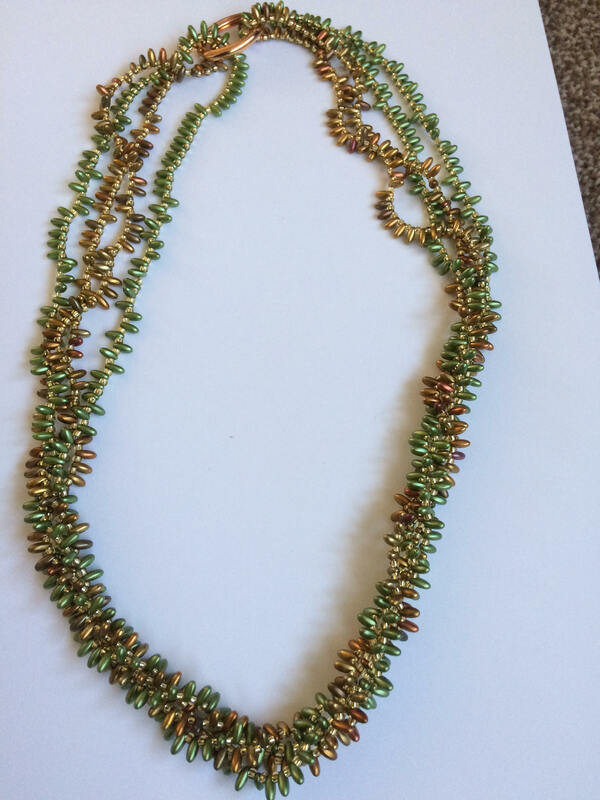 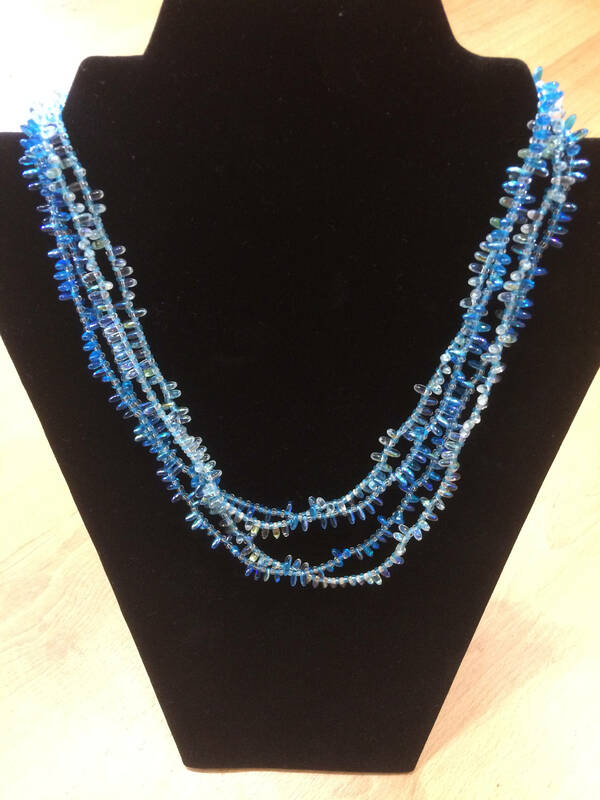 Rizo beads and size 9/0 beads are used to create this easy yet attractive necklace.